When considering which is the right range hood for you, I would suggest doing all the research you can before coming to that decision. Whether you choose to use a ducted or ductless range hood, you should also consider all the pros and cons of both, including the cost, the noise levels, and the artistic design. Let’s begin with what a range hood is. A range hood is an enclosed area over the range that uses a fan to collect fumes, steam, odors, and other airborne particles that are generated when cooking. It provides additional ventilation to pull in the airborne items and push them out elsewhere away from your walls, ceilings, appliances, and other surfaces. So simply put, getting a range hood will significantly cut down on the grimy buildup that can accumulate in your kitchen overtime. 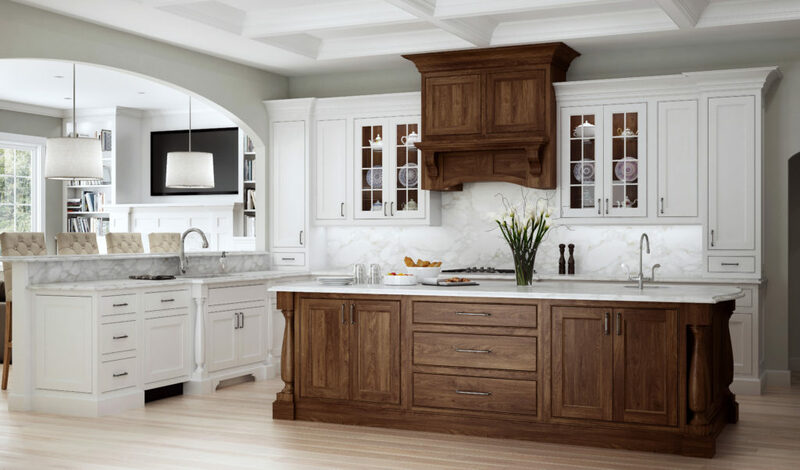 There are two types of range hoods to consider, a ducted or ductless. Which one is best for your kitchen? Well that depends on a couple of things such as budget, placement of range, and type of ventilation. As far as budget of course a non-vented, recirculating hood is cheaper to purchase but if you are already vented or ducted continue with the same kind of range hood system and just replace the range hood itself. These are much more effective and worth the extra cost and besides you already have the venting in place for it. Ducted hoods are more efficient at getting rid of humidity and steam since they push it outside of the home. The downside is that unless you relocated the ducting, your range hood location is limited to where the duct work is already installed at. This will effect your budget with the extra installation costs. A ductless range hood is cheaper, any where from a little less than a $100.00 up to the $350.00 or more but can be pretty noisy. Especially when you have turn the fan setting on high so that it is more effective, since it only circulates the air instead of removing it completely. But on the other hand these range hoods can be placed anywhere in the kitchen without any restrictions. The down sides are the noise level and cleaning or replacing the filters. You might ask yourself, “How much ventilation do I need exactly?” Well the answer to that depends on what kind of stove top is underneath the range hood and the placement of it. A peninsula or ceiling mount hood would need a larger fan since it has to collect the air from all sides. While an under-cabinet mounting or wall mount will be a little smaller in size. A large, low volume range hood should be installed low and close to the stove top, about 30”-36” high for optimum use. You should use the back burners for this is where the hood draws the best from. Remember to turn on the hood exhaust before you even begin cooking. This removes the carbon monoxide produced by the burners. There are other health and air quality controls to consider besides all the greasy grime you will be eliminating in your home with a range hood installation. For instance, when frying foods, formaldehyde is a byproduct of heating oil, or when using the oven, tiny food particles are heated and released into the air and breathed in by you and anyone else in the home. So I would suggest a minimum of 300 cfm of air flow to start and opening a window will help avoid back drafting if your home is tightly sealed. Now let us move on to the style and materials of these range hoods you are considering. Lately range hoods aren’t just one of the appliances, designers are incorporating the style and material look of the hood into the overall design of the kitchen. Home owners and designers are sometimes choosing to make a statement with the range hood and even making it the center piece of the space. With so many styles to chose from here is where the fun begins. From industrial, traditional, transitional, and contemporary, to heirloom, rustic, French country, European, and a mantel style hood, there is so much to consider! What about materials? Well you have lots of choices to consider there also. Will you chose a stainless steel, wood, copper, bronze, plaster, limestone, or even Zinc! The possibilities are endless. Don’t be afraid to be creative and to chose the style and material that suits your homes overall look and that best expresses your style as well. And to answer your question, Yes I do believe that Range Hoods Are A Must!